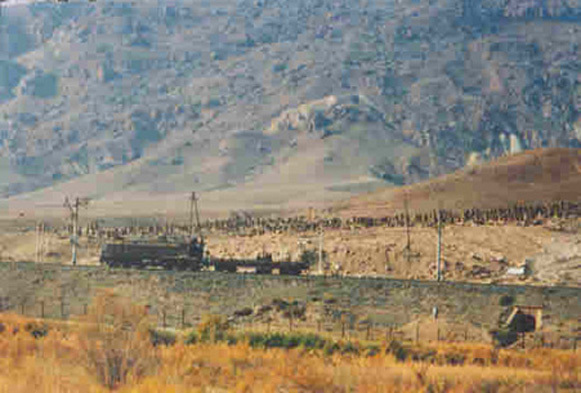 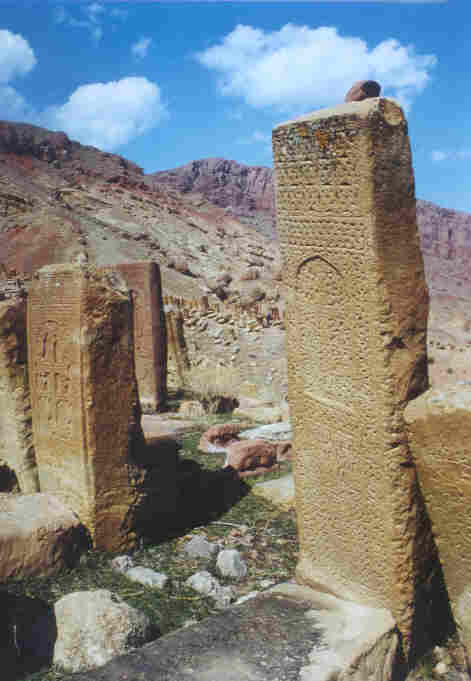 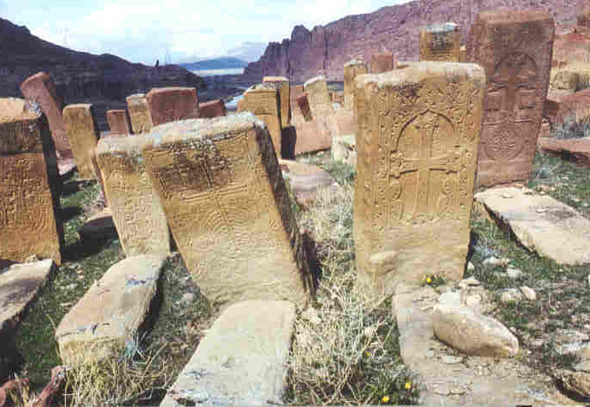 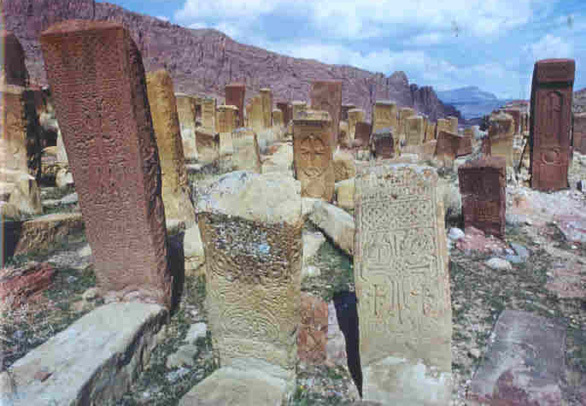 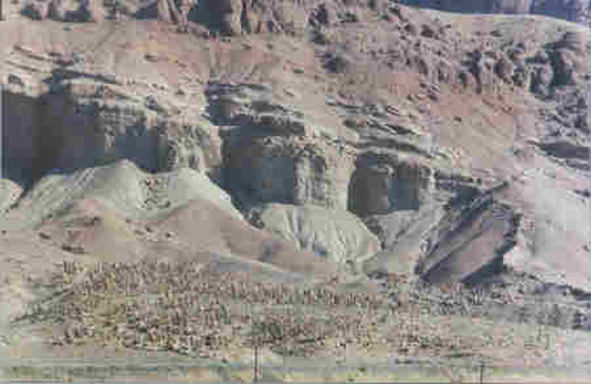 The roughly 1500 years-old cemetery of Djulfa before the destruction of its c. 5000 cross stones. 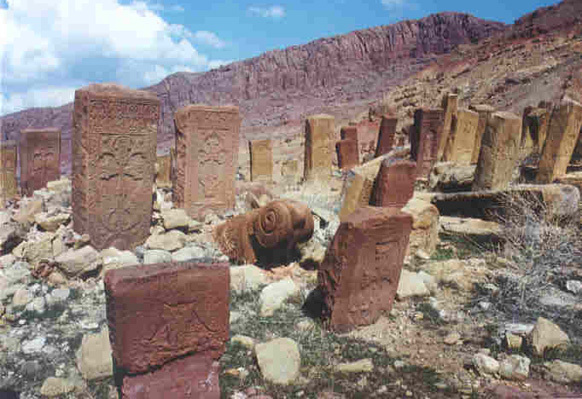 In 1998 about 800 Katchkars were removed, a process temporarily halted following protests from UNESCO. 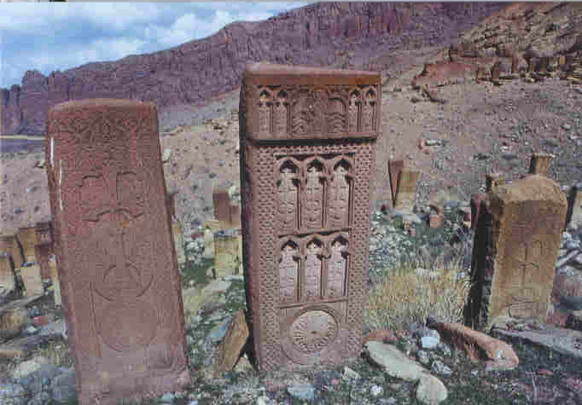 Cross stones from the 15th/16th centuries on the mediaeval cemetery of Djulfa before their destruction. 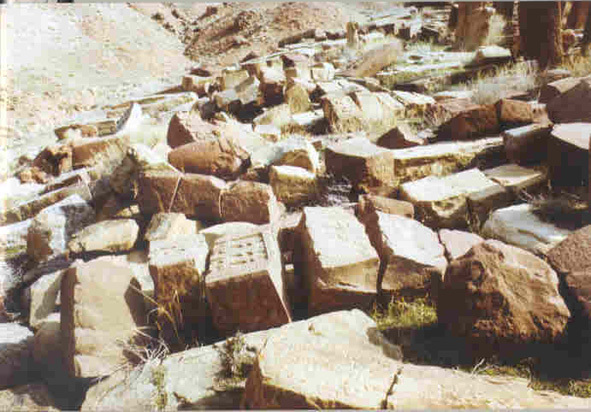 Cross stone smashed for removal. 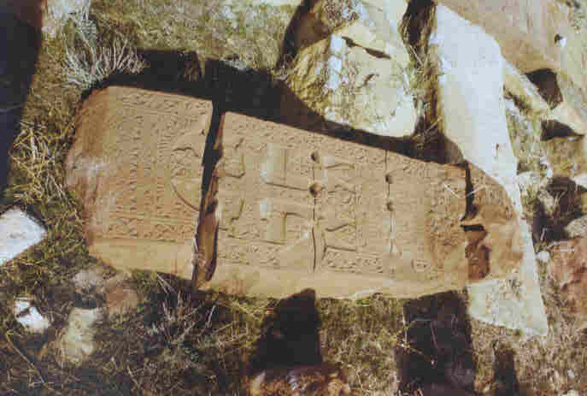 Cross stones smashed to be transported away.